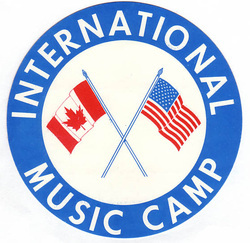 Why attend a Summer Music Camp? • Rising seniors: summer music camps and programs offer excellent and timely preparation for pre-screens and auditions. • School isn’t in the way of diving deeply into your whatever area of music you’re passionate about. • You get to have fun AND pursue what you love, at the same time. • You’ll meet students from other high schools, other states, other countries. You may also meet some of the people who will be auditioning for the same spots at the same schools as you. This will help you better understand the competition that’s out there –– and what you can do to meet it. • You can explore areas of music that are new to you, that your high school doesn’t offer, or that you haven’t had time to investigate. • Extraordinary musicians and faculty from all over the world will work with you in groups and 1:1. This will help take your music to the next level. Spend an inspired, fun week with renowned teachers, exciting artists and fellow campers from across the country, and even from around the world. Enjoy a safe and supportive environment and a real campus-life experience. You’ll not only grow as a musician and performer, you’ll have a positively life-changing experience. Leadership is the theme throughout the Symposium week. Kick it all off by adding on the Leadership Weekend Experience for the ultimate summer camp! 98% of all student evaluations received said that their overall impression of the Summer Symposium met their expectations and 91% said the Symposium exceeded their expectations. 100% would recommend it to their friends. Augustana's Summer Music Camp is set for June 8-13, 2014, and is led by Dr. Paul Nesheim, director ofThe Augustana Choir and Dr. Paul Schilf, director of the Augustana Band. When you join your friends (both old and ones you'll soon make) at the Augustana Summer Music Camp, you'll find the finest in musical instruction, performance opportunities and FUN for five full days. Make one of our Residence Halls your home for the week, enjoy dining in our Morrison Commons, swim in our pool, dance in our hallways, dabble with an instrument you've always wanted to play, and make beautiful music while creating lasting memories! Bemidji MusiCamp is a summer music program led by music educators. 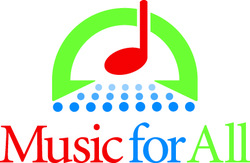 Our purpose is to provide young musicians with positive and accessible musical opportunities. We are guided by our traditions and history as one of the longest running music camps in the United States, yet remain committed to ongoing development and innovation. We endeavor to inspire life-long music participation. 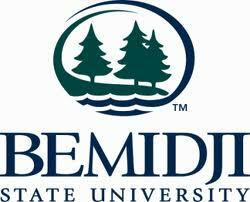 In 2014, the Bemidji MusiCamp will celebrate its 64th year. Held on the beautiful shores of Lake Bemidji, camp includes individual instrumental instruction, chamber ensembles, and large group experiences. In addition to performance opportunities, students will participate in classes that cover a wide range of topics, including music theory, electronic instruments, conducting, and music technology. Boasting an enthusiastic and caring faculty, Bemidji MusiCamp offers students a unique opportunity for musical and social growth. The camp is overseen and staffed by regional music educators with a passion for providing positive musical experiences beyond the classroom. Bemidji MusiCamp is open to students who have completed their first year of band, through students who have finished 12th grade. Dates for MusiCamp 2014 are July 20-26. Located in beautiful northwestern Wisconsin, only a short hour and fifteen minutes north of Eau Claire, the Shell Lake Arts Center in Shell Lake provides a premium learning experience for all students. Our programs and staff are well-respected nationally with some of the longest running programs of their kind in the United States. With over 45 years of experience, the Arts Center provides a positive, safe and secure learning environment for students to further develop and explore their talents. Camps ranging from Piano, to Jazz Band, Show Choir, Dance and individual lessons.